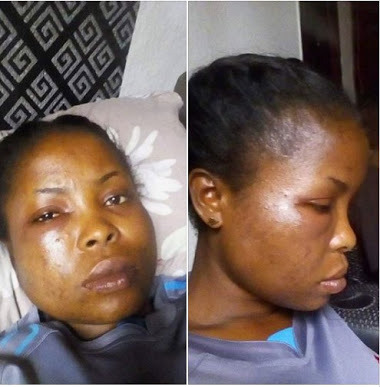 A young lady was battered after being attacked by a hoodlum in Yenagoa, Bayelsa state capital. According to the lady identified as Inaingo Livinus-Agala, the hoodlum wanted to steal from her and also r*pe her on Sunday evening. The lady who was left with a swollen eye, has cried out. She wrote; "See Bayelsa is a mess, am leaving this place. It's no longer safe for me to stay... See what a hoodlum who wanted to steal from me and r*pe me did to me yesterday evening". Recall that not long ago, a student of the state owned Niger Delta University, Miss Seiyefa Fred was killed by suspected robbery gang/cultists. She was shot dead at close range when the hoodlums robbed her of her new iPhone in Yenagoa area of the state. Two of the suspected gang members have been apprehended by security operatives who are still on the trail of others.